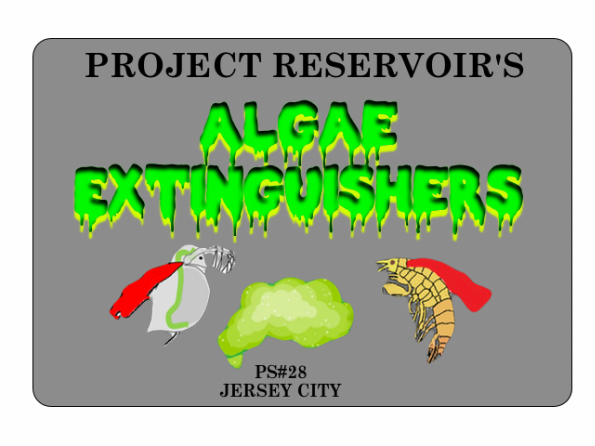 This was a project of a former project reservoir team. And we need to algae for our daphnia to eat. We notice that the daphnia were going to survive from only one source of green water. 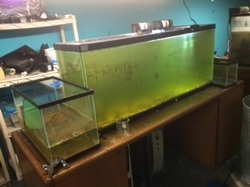 In this tank we started culturing our own algae. The tank we had with green water, went clear. When this happened, we started thinking that we need more than one source of green water. We went all around P.S. 28 and looked for places to make green water. This is another source we use for green water. 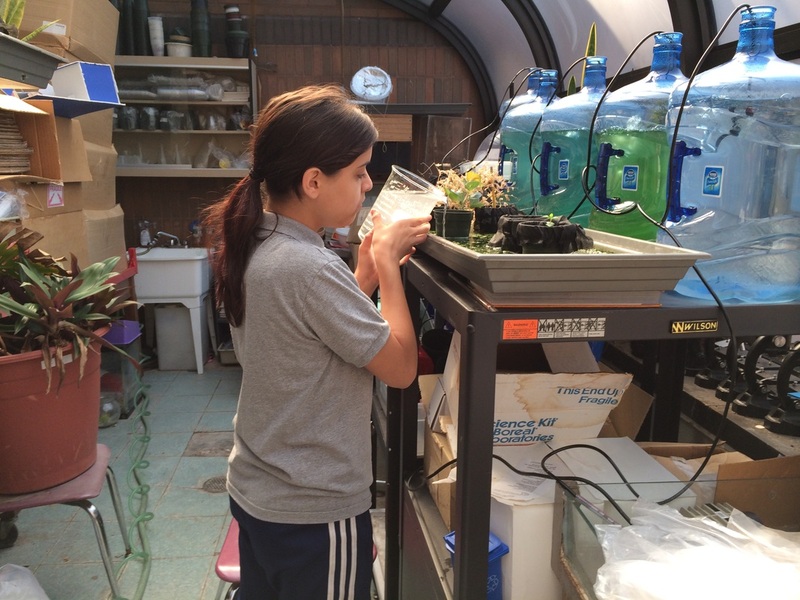 In order to have daphnia, we need to make sure they don't starve. This used to have a very strong, green color. Then it started to loose color. Over here we are culturing algae in a green house. So far the algae is germinating. 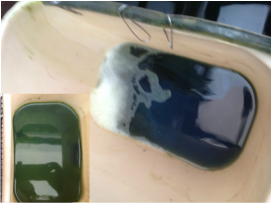 We put in 40 mg of Miracle grow in that container and when we checked it five days after we placed the Miracle grow in the Container that was a pale green was a really dark green and was healthy. 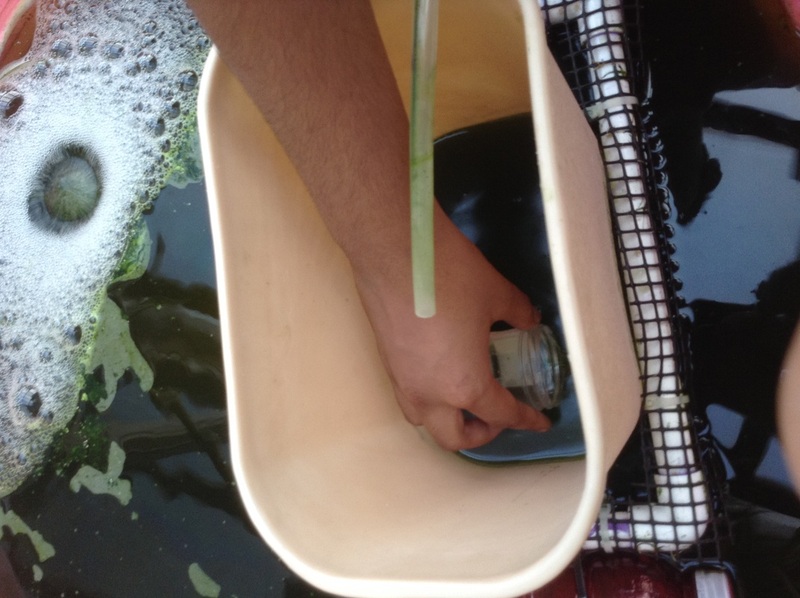 As you can see here, one of our member are filling up another thing we use for algae. 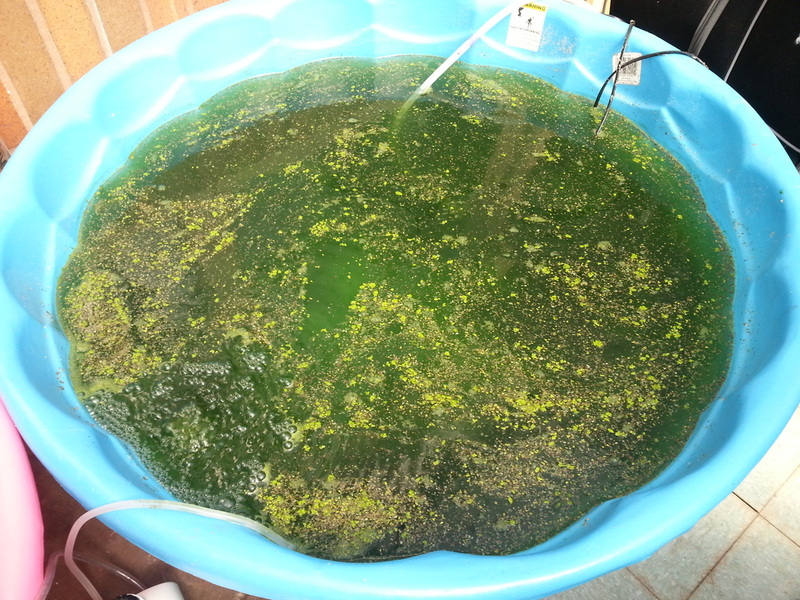 She is filling it up with water and we leave it there in the sun and it starts to produce algae. We used 5 gallon water bottles and pump air into each one to aerate water promoting the growth of algae. In this photo there four gallons of water; one filled with five grams of miracle grow (Really green gallon bottle) and one 5 gallon container without miracle grow. They started turning into algae after a two weeks in a hot green house full of sun. 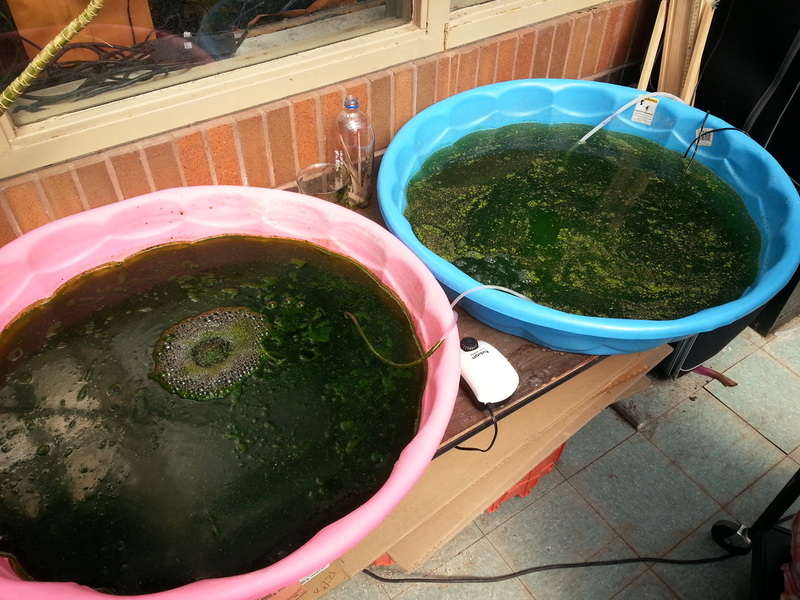 Water was seeded with algae from a turtle tank with about 1 cup per five gallons. You can see that only 4 containers are already turning into algae. In the second picture there is 1 container that looks like nothing just like plain water. 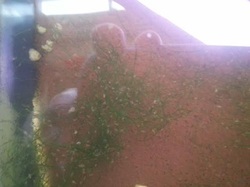 This is container number #2 which has a little bit of algae. One pool has turned very green after 1 month of growth. Look at the photo above. The bottom left corner was the algae that was the pool but recently when we went to look at the pool and it was the same as the bottom left, but in the chinampa we had culture our first Blue green algae. 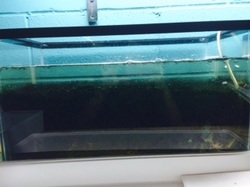 These are our pools where we will be testing our for algae control with Daphnia. In the pink pool, our team added a chinampa. 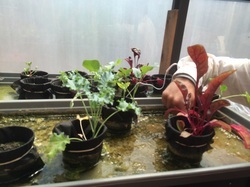 We recycled one of our old chinampas and fixed the container because the drain was leaking. We added about ten daphnia.